← Innocent Native American Serving Life Sentence With No Possibility of Parole. We are going to send Urgent FAXes to Ambassador Samantha Power, U.S. Permanent Representative to the U.N.
Click HERE to send 5 FREE FAXES per day from your computer. You do not need a credit card. You do not need a fax machine. On the left side of the form, enter your name and email address. For faxes going to Ambassador Samantha Power, on the right side of the form, enter Ambassador Samantha Power in the first section, U.S. Permanent Representative to U.N. in the second section, and 212-415-4053 in the third section where it asks for Fax #. Please Copy the SAMPLE MESSAGE below, and Paste it into the Comments Section of the Fax Form. After you type in the Confirmation Code – Click on “Send Free Fax Now” on the lower left side of the Fax Form. Be SURE to go to your Email Account to CONFIRM so that your Free Urgent Fax will be sent immediately. You will receive a confirmation when the Fax is Delivered. PLEASE send your allotted 5 Free Faxes Per Day. The Salutation of the Message MUST be: To the Attention of Secretary-General of the United Nations Ban Ki-Moon, or the Email will Not Be Delivered. All Emails to Secretary-General Ban Ki-Moon must be directed to The Office of the Spokesperson for the Secretary-General, Martin Nesirky. Please send the SAMPLE MESSAGE in the Email. For the Subject of the Email please use Human Rights Violations at Fukushima. The United Nations Scientific Committee on the Effects of Atomic Radiation (UNSCEAR) during their 60th session, submitted a report on expected human health effects of the Fukashima Daiichi nuclear meltdowns. The report, produced by only 80 people called “scientists”, predicted no deaths or negative health impacts attributable to radiation releases in Japan among workers or the general public. In retrospect, it is obvious that the report was innacurate and deliberately misleading.
. The Fukushima Daiichi plant manager who stayed through the night, trying to prevent the meltdowns, is dead. His cancer was of rapid onset and progression. The publicity surrounding his death made it impossible to conceal the hazards Tepco workers face on a daily basis at Fukushima Daiichi.
. The published reports of several dozen children in Fukushima Prefecture diagnosed with thyroid abnormalities and three with thyroid cancer, a rare disease in children, also confirms the serious public health hazard associated with releases of ionizing radiation from Fukushima.
. The UNSCEAR report constitutes a deliberate attempt to conceal the potential detrimental effects of the release of ionizing radiation on all complex life forms exposed to it. The Tepco emergency workers at Fukushima face the greatest hazard and are silenced by their employer. Workers have not been provided the necessary equipment to accurately determine their exposure. Medical examination of workers appears to be inadequate and yet reports have leaked publicly of 400% increase of elevated white blood cell counts among workers, indicative of Leukemia.
. While working under the most hazardous possible conditions, the Fukushima emergency workers have been prevented from speaking freely to news reporters or on the internet. This is unacceptable. As more accurate measurements of radioactive contamination released by the nuclear meltdowns has become available to the wider scientific community and the public, it has become impossible for UNSCEAR to conceal the seriousness of the disaster, the grave threat to the entire planet, and the immediate peril Fukushima emergency workers face in the performance of their duties.
. 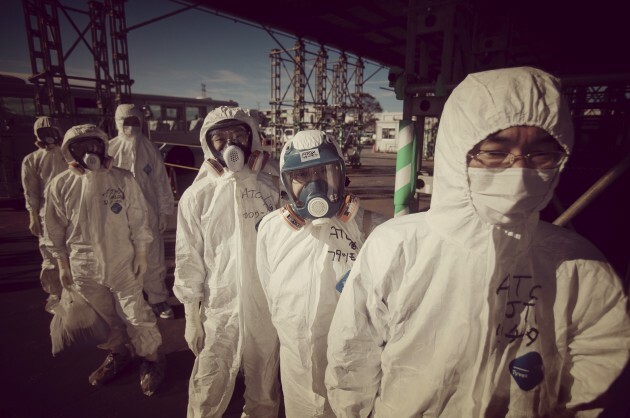 The Fukushima emergency workers are risking their lives at Fukushima Daiichi for every person on Earth. It is now perfectly clear that those men are fighting a force that may threaten civilization and even life as we know it on the entire globe. The workers must be fully informed of the hazards they face. Their partucipation must be voluntary and they must have freedom of speech.
. The UN’s failure to develop an international task force to stop the Fukushima meltdowns, recapture the lost cores, and make safe the spent fuel rods in fragile reactor buildings, has caused the public to doubt the wisdom and competency of world leaders around the globe. The failure to protect the health and human rights of Fukushima emergency workers cannot continue.
. The UN must immediately act to secure the rights of Fukushima emergency workers to be fully informed of the risks they face, the right to speak freely and publicly about Operations at the Fukushima Daiuchi nuclear power station, and the best possible equipment and health care must be provided for their safety. No matter who you are or where you live on planet Earth, the Fukushima emergency workers are fighting for your life. I DEMAND that the U.N. conduct Inspections of Working Conditions at the Fukushima Daiichi Plant. Posted on October 6, 2013, in Human Rights and tagged Ambassador Samantha Power, Fukushima, Fukushima Daiichi Nuclear Power Plant, Human Rights in Japan, Secretary General Ban Ki-Moon. Bookmark the permalink. 2 Comments. Check out the BEM Conference about alternative energies. #Lenr / #Coldfusion is being represented by several speakers. With this technology confirmed by #nasa 1 liter of water can power 1 family for 200 years. Please Like and Share and I will buy you a cold beer !